Author’s note: a few months ago, historians Baz Lecocq (Ghent University) and Gregory Mann (Columbia University) assembled a multinational, interdisciplinary team of Mali scholars to write a comprehensive analysis of that country’s crisis. In all, eight researchers specializing in diverse aspects of Mali’s populations and their history contributed to this project. Initially we nicknamed it “the floating hippo” for reasons that the second paragraph makes clear, but the article’s official title is “One Hippopotamus and Eight Blind Analysts.” Ours is the most holistic, wide-ranging scholarly attempt so far to explain recent events in Mali. A more polished, but briefer, version of it will be published by the journal Review of African Political Economy in issue 137 later this year. Our introduction appears below; if you want to read more, download the the 10,000-word “extended editors’ cut” (PDF document). In 2012, the political landscape in the Republic of Mali transformed rapidly, drastically, and unpredictably. The formation of a new Tuareg political movement — the National Movement of Azawad — in October 2010 and the return to Mali of Tuareg with military experience from the Libyan conflict in August 2011—bringing along heavy weapons and logistical supplies — made speculation on renewed violence on the part of separatist Tuareg inevitable. Indeed, Tuareg separatists launched attacks on Malian garrisons in the Sahara in January 2012. Mali had experienced such rebellions before. What nobody foresaw was that this renewed conflict would lead to a coup d’état by disgruntled junior officers; the near total collapse of Mali’s army and most of its democratic institutions; the seizure of all of northern Mali by Tuareg rebels and foreign and local mujahideen ; the precocious proclamation of an independent Azawad Republic; and the effective occupation of the north of the country by an alliance of Jihadi-Salafi movements who imposed their form of shari’a law on a suffering and largely recalcitrant population. Those events happened very quickly, and their effects will be felt for years. This article attempts to give an overview of the crisis in Mali as it unfolded through 2012, with particular attention to what was happening on the ground in Mali itself. The Malian national mascot is the hippopotamus: a quiet but potentially dangerous mastodon whose name in the Bambara language is a homonym for the name of the country. 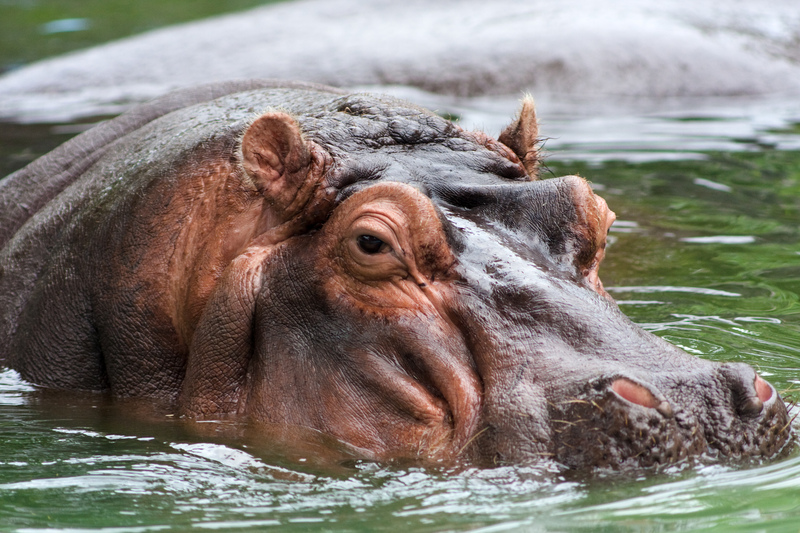 At present, the Malian hippo is floating gravely wounded in murky and troubled waters. The current political situation in the country involves different political cultures, domains and systems, including Tuareg clan politics, a contested multi-party system based in Bamako, the international domains of Franco-African relations, the position of ECOWAS (the Economic Community of West African States) and the ideology and effective networks of global jihad. No single scholar can claim full understanding of all these domains. Understanding is further hampered by a lack of reliable information on what happens on the ground, coupled with a good deal of deliberate or accidental misinformation. This article represents an attempt by a group of eight scholars, each of whom has studied one or two of the aspects that together make up a hugely complex beast, to pool our sources and analysis. In analogy to an old parable, the eight of us are like the blind scholars who, touching different parts of an object, each come up with a different explanation of its nature. We hope that in the discussion of our findings below we will clarify at least partly what the nature of the beast is. Our inquiry will remain incomplete. First of all, despite the unusually large number of contributors to this article, our view is not panoramic, while our vision is imperfect. Second, the situation in the Sahel continues to change in unexpected ways. Between the time of our writing and the publication of this article, the situation has already changed dramatically, as it undoubtedly will do again. This then is an exercise in contemporary history, culminating with international diplomatic efforts to organize a military intervention to be led by ECOWAS, authorized by UN Security Council resolutions (July and October 2012), and materially supported by France. At the time of writing, we did not think that this intervention would be effectively organised and operational before the first months of 2013 at the earliest. Events proved us right, although not in the fashion that we had anticipated. In its published form this article may serve as a historical background to this intervention. As this article will make clear, several groups fought against the Malian government and sometimes against each other. They fall into two broad categories. The first, the Tuareg separatists known as the MNLA, are in rebellion against their own government; we refer to them as ‘rebels.’ Those in the second category are engaged in a violent jihad with ideological roots in Salafism. They see themselves as fighting for Islam, although the vast majority of their victims are Muslims who do not recognize their religion in the actions of these fighters. We refer to this second category as the mujahideen; some of them are in rebellion against their own government, but many are citizens of foreign countries. They are not therefore ‘rebels.’ As we argue below, individual fighters and commanders have shifted back and forth across the permeable boundary between these two categories, but we maintain it for analytical purposes. *This is an Authors’ Original Manuscript of an article to be published in the Review of African Political Economy (copyright Taylor & Francis; article DOI not yet available). When citing details presented in this paper which do not appear in the definitive form in ROAPE 137, please refer to this paper under the formal title with “Extended Editor’s Cut” added and give the URL where you found it; for all other citations please refer to the final version in ROAPE 137 under its title. This entry was posted in Uncategorized and tagged coup, mali, politics, Tuareg. Bookmark the permalink. Nice and read worthy article. However in my point of view one small or big mistake (depending on your point of view) scholars make every time again: using terms in their narrative as Jihad (holy struggle) and Mujaheddin (struggler) in reference to certain adversaries who are in fact (in their own opinion) in a global war to impose sharia and its Caliphate. The use of such a vocabulary has served to reinforce adversaries’ claim to legitimacy in the Islamic world whereas terms such as hirabah (unlawful war) and irahabi (terrorist) might have achieved the opposite effect. So in all their scientific honesty they tend to forget that we are involved in that battle too and that AQIM (as the container term for several fanatic groups) is looking for this ‘legitimacy’ in the Maghred world as well. No native Malian scholars available? Do you mean that none of the learned Malians on Malilink were neither able nor available to contribute their knowledge to this? Amazing!